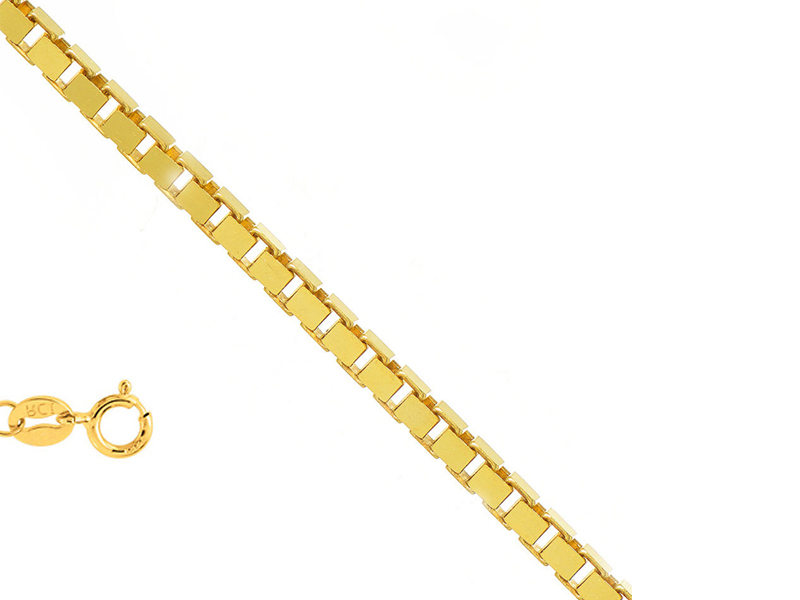 This beautiful 14k gold necklace chain features boxed links creating a strong and showy chain. It measures 16 inches long and is suitable for all types of charms. This necklace is available in both yellow and white gold.